1 California Death Index, 1940-1997, Death record for son Richard Dryden Field, FamilySearch.org (Online Database). 2 Federal Census, PA, Warren County, 1940, Warren, E.D. 62-33, Sheet 10A, Image 19 of 34, Ancestry.com (Online Census Images). 3 Federal Census, PA, Warren County, 1930, Warren, E.D. 62-30, Sheet 11B, Image 22 of 25, Ancestry.com (Online Census Images). 4 Federal Census, PA, Warren County, 1920, Warren Ward 1, E.D. 174, Sheet 11A, Image 21 of 25, Ancestry.com (Online Census Images). 5 Federal Census, PA, Allegheny County, 1910, Pittsburgh Ward 21, E.D. 570, Sheet 3A, Image 5 of 9, Ancestry.com (Online Census Images). 6 Ohio, County Marriages, 1789-2013, Marriage record for Fleet F Field and Jane E Fox, FamilySearch.org (Online Database). 7 Pennsylvania, Veteran Compensation Applications, WWII, 1950-1966, Application for son Richard Dryden Field, Ancestry.com (Online Database). 8 U.S., World War I Draft Registration Cards, 1917-1918, Draft registration for spouse Fleet Folsom Field, Ancestry.com (Online Database). 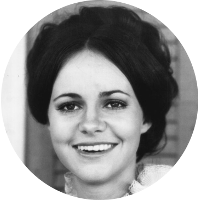 9 Finding Your Roots with Henry Louis Gates, Jr., "Sally Field's Interactive Family Tree", (accessed 04/18/2016), Public Broadcasting Service, www.pbs.org.